5.6 earthquake hits offshore Jalisco, Mexico. In the eastern Pacific Ocean: Tropical Storm 06e (Emilia), located about 695 mi…1120 km sw of the southern tip of Baja California with maximum sustained winds…40 mph…65 km/h. Present movement…wnw or 285 degrees at 9 mph…15 km/h. In the western Pacific Ocean: Tropical storm (ts) 09w (Prapiroon), located approximately 327 nm south-southeast of Kadena AFB, Okinawa, Japan, is tracking northwestward at 04 knots. Romania – Floods have swirled through Romania, damaging as many as 60 towns in 14 counties. Highways have been closed and hundreds are without electricity or gas. In one area, Slănic-Moldova, more than 300 farms were flooded. Singapore – Intense rain again caused flash floods at four locations in central Singapore on Friday morning, national water agency PUB said in a statement. The flash floods occurred at Lorong Kismis and Bukit Timah Road, as well as Dunearn Road near Watten Estate Road and along Yarwood Avenue to Binjai Park. The PUB said that about 85mm of rainfall was recorded for two hours between 9.30am and 11.30am. India – Incessant rain lash most parts of the Kashmir valley, though there is no immediate threat of flood. Rain has however, resulted in increase in the water level in the water bodies, including rivers and nallahs in the valley, particularly in south Kashmir. The world’s first known manta ray nursery has been discovered in the Gulf of Mexico, solving a mystery that had baffled scientists. Young mantas are virtually never seen swimming in the world’s oceans, leaving researchers with few clues about their early life. 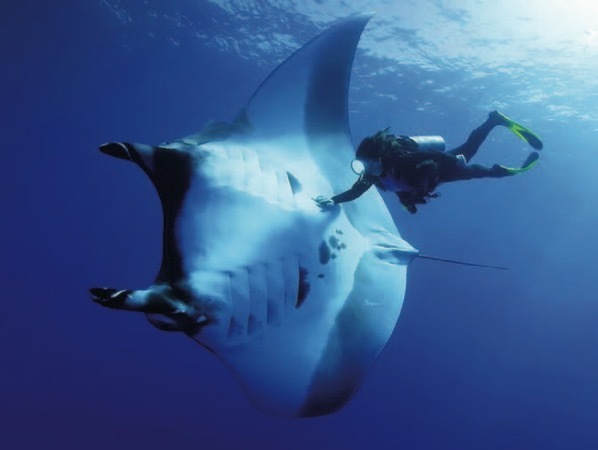 But a researcher at California’s Scripps Institution of Oceanography worked with NOAA to pinpoint the manta nursery in the Flower Garden Banks National Marine Sanctuary, about 120 miles southeast of Houston. The world-famous wildebeest migration across East Africa is being slowed this year by a bounty of fresh grass left along the route by heavy rains that nourished the Serengeti last year, and again during much of May. Seven square miles of Saddleworth Moor has gone up in flames, blanketing the Greater Manchester region and beyond in smoke and ash. Meanwhile, a new moorland blaze – on Winter Hill, near Rivington, Lancashire – broke out on Thursday with huge plumes of smoke visible from the area surrounding the moorland. Authorities fear the fires could take weeks to put out completely. At least a dozen wildfires were raging on Friday in drought-stricken portions of Colorado where hundreds of residents have been evacuated as a wave of prime wildfire weather conditions moves through the U.S. West. The most active blaze, the Spring Fire, had scorched nearly 24,000 acres (9,712 hectares) between the towns of Fort Garland and La Veta in southern Colorado. The fire was not contained as of Friday. An unknown number of structures were consumed by the fire in Costilla County where the fire is burning. People in about 350 homes in the area were ordered to evacuate. The largest wildfire in the state, the 416 Fire, which has charred almost 42,000 acres in the southwest corner of the state since it ignited on June 1, is 37 percent contained, fire officials said. An orphaned bear cub suffered painful burns to her paws in the Spring Fire, but she is being nursed back to health, state officials said Friday. Aira | Kyushu (Japan) : JMA reported that there were four events and one explosion at Minamidake crater (at Aira Caldera’s Sakurajima volcano) during 18-25 June, with ash plumes rising as high as 1.9 km above the crater rim. Crater incandescence was visible at night on 18 June. The Alert Level remained at 3 (on a 5-level scale). Cleveland | Chuginadak Island (USA) : AVO reported that a satellite image of Cleveland acquired on 25 June showed a small, circular lava flow about 80 m in diameter in the summit crater. The presence of a flow over the active vent increases the chances of an explosion, so AVO raised the Aviation colour Code to Orange and the Volcano Alert Level to Watch. Copahue | Central Chile-Argentina border : The Buenos Aires VAAC reported that on 24 June diffuse steam emissions with possible ash were visible in webcam views rising to an altitude of 3.6 km (12,000 ft) a.s.l. Dukono | Halmahera (Indonesia) : Based on PVMBG observations and satellite data, the Darwin VAAC reported that during 20-26 June ash plumes from Dukono rose to altitudes of 1.8-2.1 km (6,000-7,000 ft) a.s.l. and drifted NW, W, and SW.
Ebeko | Paramushir Island (Russia) : KVERT reported that on 15 June an ash plume from Ebeko was visible in satellite images drifting 14 km SE. Video data from SVERT and KBGS RAS (Kamchatka Branch, Geophysical Service, Russian Academy of Sciences) showed ash explosions during 17-18 June that sent ash plumes to 2.5-3 km (8,200-10,000 ft) a.s.l. The Aviation colour Code remained at Orange (the second highest level on a four-colour scale). Fuego | Guatemala : INSIVUMEH and CONRED reported that during 20-26 June multiple lahars at Fuego were often hot, steaming, and had a sulfur odor, and were generated from heavy rains and the recent accumulation of pyroclastic-flow deposits from the 3 June events. Lahars remained a significant hazard, and descended the Cenizas (SSW), Las Lajas (SE), Santa Teresa (W), and Taniluyá (SW) drainages. They were 25-45 m wide, as deep as 3 m, and often carried blocks up to 3 m in diameter, tree trunks, and branches. The agencies warned that because the Las Lajas drainage is full of deposits, lahars can continue to descend that drainage or create new channels in San Miguel Los Lotes (one of the hardest-hit areas). Explosions continued, producing ash plumes that rose as high as 1.3 km above the crater and drifted as far as 15 km in multiple directions. Ashfall was reported in Panimache, Morelia, Sangre de Cristo, and finca Palo Verde on 22 June. Avalanches of material descended the SE, S, and W flanks (Santa Teresa, Las Lajas, and Cenizas drainages). According to CONRED, as of 26 June, the number of people confirmed to have died due to the 3 June pyroclastic flows was 112, and 197 more were missing. In addition, 12,823 remained evacuated. Kilauea | Hawaiian Islands (USA) : HVO reported that the eruption at Kilauea’s Lower East Rift Zone (LERZ) and at Halema`uma`u Crater continued during 20-26 June. Lava fountaining and spatter was concentrated at Fissure 8, feeding lava flows that spread through Leilani Estates and Lanipuna Gardens subdivisions, and built out the coastline where the fast-moving flow entered the ocean in the area of the former Kapoho Bay. Fissure 16/18 was often incandescent, and lava effusion was visible at Fissure 6 on 21 June. Fissure 22 produced weak lava fountains on 22 June, and weak spattering and small lava flows on 26 June. Inward slumping of the crater rim and walls of Halema`uma`u continued, adjusting from the withdrawal of magma and subsidence of the summit area. Steam plumes rose from areas in the crater as well as from circumferential cracks adjacent to the crater. Explosions from collapse events occurred daily, producing gas-and-ash-poor plumes that rose less than 1.8 km (6,000 ft) a.s.l. and drifted SW. On 24 June HVO noted that since late May these plumes rarely rose higher than 3 km (10,000 ft) a.s.l. where they can cause an aviation hazard; the Aviation colour Code was reduced to Orange. Fountaining at Fissure 8 continued; lava fountains rose occasionally higher than the 55-m-high spatter cone. Pele’s hair and other volcanic glass from the fountaining fell within Leilani Estates. The fountains continued to feed the fast-moving lava flow that traveled NE, and then SE around Kapoho Crater, and into the ocean. Occasional overflows sent small flows down the sides of the channel. The lava-flow front at the ocean was almost 3.2 km wide by 25 June, with lava entering the ocean on the S side of the flow front mainly through an open channel, but also along a 1-km-long area marked with billowing laze plumes. Kirishimayama | Kyushu (Japan) : JMA reported that at Shinmoedake (Shinmoe peak), a stratovolcano of the Kirishimayama volcano group, an explosive eruption at 0909 on 22 June generated an ash plume that rose 2.6 km above the crater rim and drifted E. Tephra was ejected 1.1 km away, and shock waves were felt in the Miyazaki region. Minor amounts of ash fell in Kirishima prefecture and Kagoshima prefecture to the S, Miyakonojo city (Miyazaki prefecture) to the E, and Takahara Town. The Alert Level remained at 3 (on a scale of 1-5). Klyuchevskoy | Central Kamchatka (Russia) : KVERT reported that a weak thermal anomaly over Klyuchevskoy was identified in satellite images during 16-17 and 19 June. The Aviation colour Code remained at Orange (the second highest level on a four-colour scale). Langila | New Britain (Papua New Guinea) : Based on analyses of satellite imagery and model data, the Darwin VAAC reported that during 20-21 June ash plumes from Langila rose to an altitude of 2.4 km (8,000 ft) a.s.l. and drifted W and NW. Mauna Loa | Hawaiian Islands (USA) : On 21 June HVO reported that seismicity and deformation at Mauna Loa had been at near-background levels for at least the previous six months. The Aviation colour Code was lowered to Green and the Volcano Alert Level was lowered to Normal. During 2014 through most of 2017 seismicity was variable but elevated, and ground deformation was consistent with an influx of magma in the shallow reservoir. Nishinoshima | Japan : JMA reported that seismic, thermal, RADAR, and sulfur dioxide data all showed no eruptive activity at Nishinoshima since mid-August 2017. During an overflight on 14 June the Japan Coast Guard noted white fumarolic plumes rising about 20 m from the E side of main cone’s inner wall and from the center of the crater. Ocean water all around the island was discoloured, especially in the N-to-NW quadrant where the yellowish brown water extended 200-300 m from the shore. On 20 June the JMA reduced the warning level for the island, specifying hazards were less severe “around the crater” (encompassing areas within 500 m). Sabancaya | Peru : Observatorio Vulcanológico del Sur del IGP (OVS-IGP) and Observatorio Vulcanológico del INGEMMET (OVI) reported that explosions at Sabancaya averaged 29 per day during 18-24 June. Hybrid earthquakes were infrequent and low magnitude. Gas-and-ash plumes rose as high as 1.8 km above the crater rim and drifted 30 km S, SE, and E. The MIROVA system detected 11 thermal anomalies, and on 21 June the sulfur dioxide gas flux was high at 4,900 tons/day. The report noted that the public should not approach the crater within a 12-km radius. Sheveluch | Central Kamchatka (Russia) : KVERT reported that a weak thermal anomaly over Sheveluch was identified in satellite images during 16-17 and 19 June. The Aviation colour Code remained at Orange (the second highest level on a four-colour scale). Sinabung | Indonesia : Based on observations by PVMBG, satellite and webcam images, and model data, the Darwin VAAC reported that during 20-22 June ash plumes from Sinabung rose 3-3.7 km (10,000-12,000 ft) a.s.l. and drifted SE and E. The Alert Level remained at 4 (on a scale of 1-4), with a general exclusion zone of 3 km and extensions of 7 km on the SSE sector, 6 km in the ESE sector, and 4 km in the NNE sector. Yasur | Vanuatu : Based on webcam images and local visual observations the Wellington VAAC reported that during 20-21 June intermittent, low-level ash plumes from Yasur rose to an altitude of 1.5 km (5,000 ft) a.s.l. and drifted SE. 5.3 earthquake hits New Guinea, Papua New Guinea. 5.1 earthquake hits the Ceram Sea, Indonesia. In the eastern Pacific Ocean: Tropical Storm 06e (Emilia), located about 590 mi…955 km sw of the southern tip of Baja California with maximum sustained winds…50 mph…85 km/h. Present movement…wnw or 300 degrees at 12 mph…19 km/h. In the western Pacific Ocean: Tropical storm (ts) 09w (Prapiroon), located approximately 427 nm south-southeast of Kadena AFB, is tracking westward at 03 knots. Boston, USA – The heavy downpours that drenched the region Thursday morning flooded roads in the Boston area, but no injuries or crashes were reported, officials said. One of just three jaguars known to be living in the U.S. was recently killed by poachers. 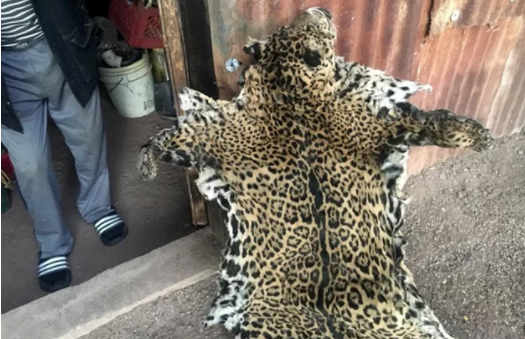 Experts identified the jaguar’s pelt in a recent photo and say it is Yo’oko, a male jaguar (Panthera onca) that was known to roam the Huachuca Mountains in southern Arizona. The rosette patterns on a jaguar’s pelt are unique to each individual, a trait that allowed officials with the Arizona Game and Fish Department to identify Yo’oko’s pelt in a photo sent to them from the Tucson-based Northern Jaguar Project. The endangered carnivore had been photographed near the Mexican border in Arizona several times in 2016 and 2017. Scientists looking for traces of ancient human life stumbled upon the unusual reptiles decade ago as they searched in the gloom of isolated caves in Gabon’s southern Omboue region. The scientists discarded other theories before speculating that lack of light in the Abanda caves may have caused depigmentation and urea in bat droppings may then have induced an orange hue. Dwarf crocodiles (Osteolaemus tetraspis) are a well-studied species, but the ones in the cave complex stand out in the way they have adapted to their habitat. “We think these… crocodiles have been in the Abanda caves for around 3,000 years, which correlates fairly well with a time when the sea level fell and this coastal zone became terrestrial once again,” the scientists said. Mapping the cave complex, the scientists found four orange specimens in a community of 40. The survival of bees is hanging in the balance. 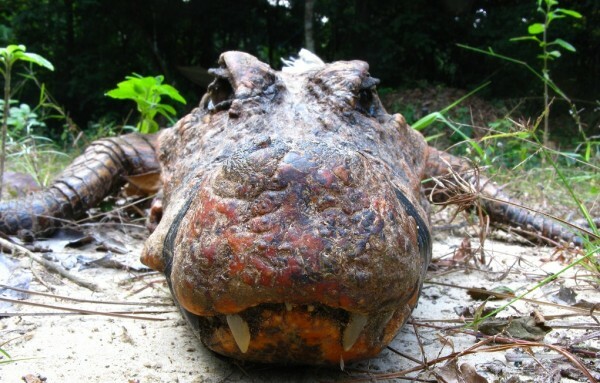 Some species are dying off at a record pace, and toxic agricultural chemicals might be to blame. There seem to be many threats to these winged creatures, but climate change may be the final straw for some bee species. If the Earth continues to warm and bees don’t find a way to adapt, some populations could face extinction, according to new research. A team of scientists found that 30 to 70 percent of mason bees died when they heated up the bees’ environments. This reveals that if temperatures continue to climb, bee populations could begin to die off at faster rates, disrupting ecosystems worldwide, said Paul CaraDonna, an ecologist at Northwestern University. In the tests conducted in the research, the bees that survived the heat became smaller, lost much of their body fat and suffered from disruptions to their hibernation. These results suggest bees that survived were not healthy and might struggle to find food or a mate. Local bee populations could possibly substantially decrease or even go extinct in the future because of climate change, according to the research. A region in the Arctic Ocean is undergoing a historic identity crisis, as recent climate change has warmed it so much that it might as well be considered part of the Atlantic. All of the Arctic has been heating up in recent decades, but nowhere is it as dramatic as in the Barents Sea, northeast of Finland. There, temperatures are climbing faster than anywhere else in the Arctic Ocean — not only in the atmosphere but down through the water column, scientists recently reported in a new study. The northern Barents is also becoming saltier as it warms, mostly because there’s little seasonal melt of sea ice to dilute the water body. These temperature and salinity changes nudge the northern Barents to a state that more closely resembles that of the neighboring Atlantic Ocean, rather than the Arctic, which could have dramatic implications for its marine ecosystems, according to the study. Last year, the Solar System was treated to its first known tourist. ‘Oumuamua, an odd, cigar-shaped body, shot through our neighborhood at high speed, following an orbit that indicates it arrived from somewhere else. Although bodies ejected from other solar systems are expected to make regular visits, this was the first one that we’d imaged sufficiently to determine that its origins were elsewhere. The imaging, however, didn’t resolve a somewhat different debate: what, exactly, is ‘Oumuamua? Its odd orbit had initially had it categorized as a comet, as these tend to have more extreme orbits. But imaging didn’t show any indication of gas and dust being released, as is typical when a comet approaches the Sun. That imaging also revealed that it had an elongated, cigar-like shape. Combined with its relatively rapid rotation, this would indicate that ‘Oumuamua had to be fairly robust, leading to the conclusion that it was probably an asteroid. But now, a large international team of researchers is weighing in with another vote for comet. 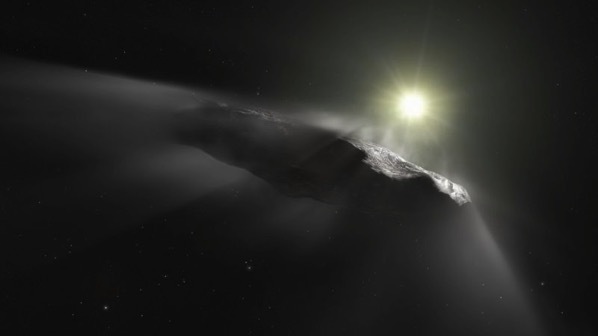 The argument, says the team, is based on the odd behavior of ‘Oumuamua, which appears to have been accelerating away from the Sun. Scientists explain the acceleration to be caused by warming-induced gas release from particles on the body of the comet which appears to be the least-worst of the possible explanations. It should generate a consistent force and one that scales with proximity to the Sun, which is what seems to be happening. The day of June 26 was a scorcher in the town of Quriyat, Oman. Temperatures in the town, which is weathering a miserable heat wave, peaked at 121.6 degrees Fahrenheit (49.8 degrees Celsius) during the day, according to Weather Underground. That’s just shy of the Omani record-high temperature of 123.4 degrees F (50.8 degrees C), set on May 30, 2017. But anyone in Quriyat hoping for an evening respite from the extreme heat would have been disappointed: Temperatures fell to a low of just 108.7 degrees F (42.6 degrees C.) That’s a world record: The highest “low” temperature ever recorded in history. 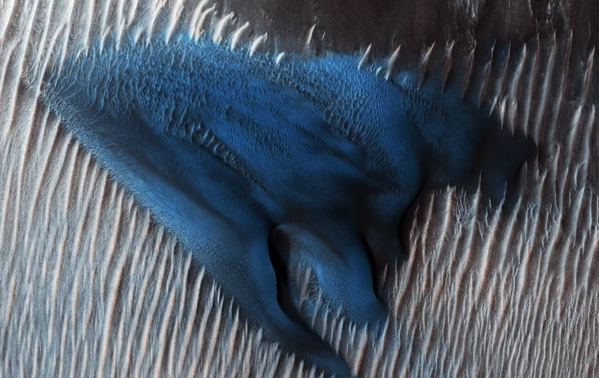 “This particular dune, appearing like turquoise blue in enhanced color, is made of finer material and/or has a different composition than the surrounding” sand, NASA officials. The week’s hottest temperature was 121 degrees Fahrenheit (49.4 degrees Celsius) in Death Valley, California. The week’s coldest temperature was minus 97.0 degrees Fahrenheit (minus 71.7 degrees Celsius) at Vostok, Antarctica. A number of wildfires erupted across the state of Utah within 24 hours of each other, beginning on Wednesday afternoon. The Black Mountain Fire: Estimated 5,000 acres as of 10:30 p.m. on Thursday. Rough Canyon Fire: Estimated 5,142 acres as of 9 p.m. on Thursday. West Valley Fire: The fire was estimated to have burned 7,200 acres as of 9 p.m. Thursday. Trail Mountain Fire: Estimated 17,767 acres as of 7:30 p.m. on Wednesday. Fruitland Shed Fire: Estimated 20 acres as of 8:25 p.m. on Thursday. At least three structures were destroyed. A rapidly moving wildfire in Costilla County has destroyed buildings and grew to 3,724 acres by Thursday morning, forcing evacuations in the Forbes Park area and triggering an emergency declaration. A number of structures have been destroyed. In a follow-up on the measles outbreak in France, health officials continue to report a decrease in cases in the current outbreak. During the past month, an average of 50 cases have been reported weekly. As of June 24, 2018, 2567 cases reported since November 6, 2017. In addition, health officials have reported a second measles death. A life-threatening parasitic worm could be quietly infecting up to 60 percent of vulnerable Australians in remote northern communities. Flinders University researchers are warning it should be listed as a nationally notifiable disease because the true extent of its spread remains unknown because basic testing isn’t widespread. Strongyloidiasis is an infection caused by parasitic worms which crawl in through human skin and reproduce inside stomachs and digestive organs indefinitely. The bacteria that causes leprosy, a chronic disease that can lead to disfigurement and nerve damage, is known to be transmitted to humans from nine-banded armadillos. A new study in PLOS Neglected Tropical Diseases reports that 62% of the armadillos in the western part of Pará state in the Brazilian Amazon are positive for the leprosy bacteria.